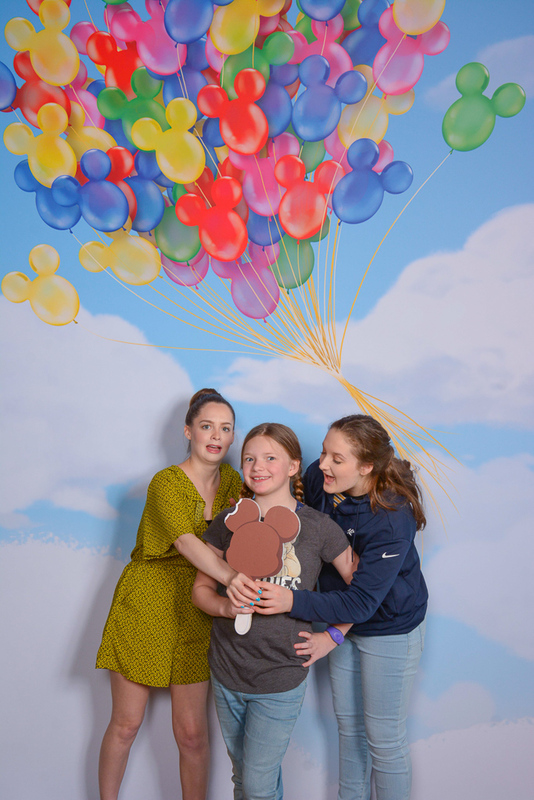 Disney Creator Days 2019! 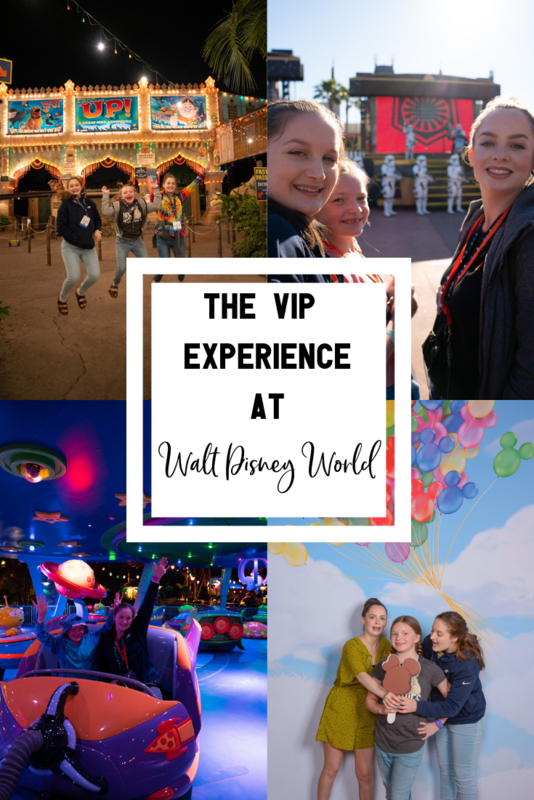 Plus The Best Disney World VIP Experiences – It's a Lovely Life! I have such a great adventure to share today! We just got back from an amazing Disney World vacation. Not just any Disney World vacation, a truly incredible one. Disney invited us to the first ever, Disney Creator Days! 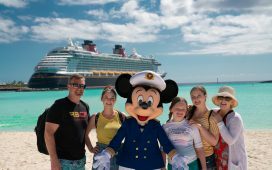 During our time as the guests of Disney, we experienced three fantastic nights at the parks and then went on a three-night Disney Cruise from Port Canaveral. 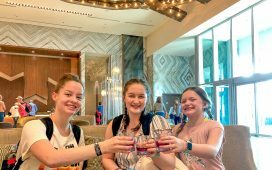 Since we have been on multiple Disney Cruises before and have stayed at Disney World many times before, I really dug in deep on as many extraordinary experiences that are available to share with you all. 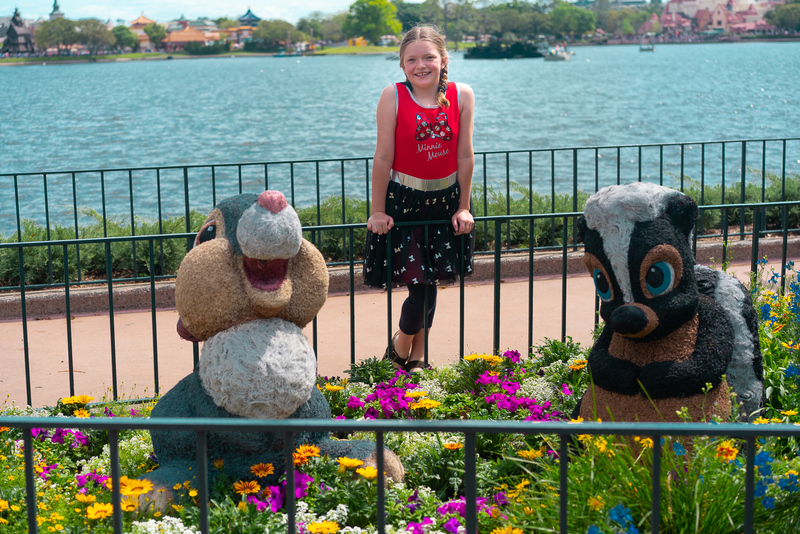 In this guide, I'll be sharing the fun we had, and a bunch of info on where you should splurge at Disney World for your next Disney vacation! 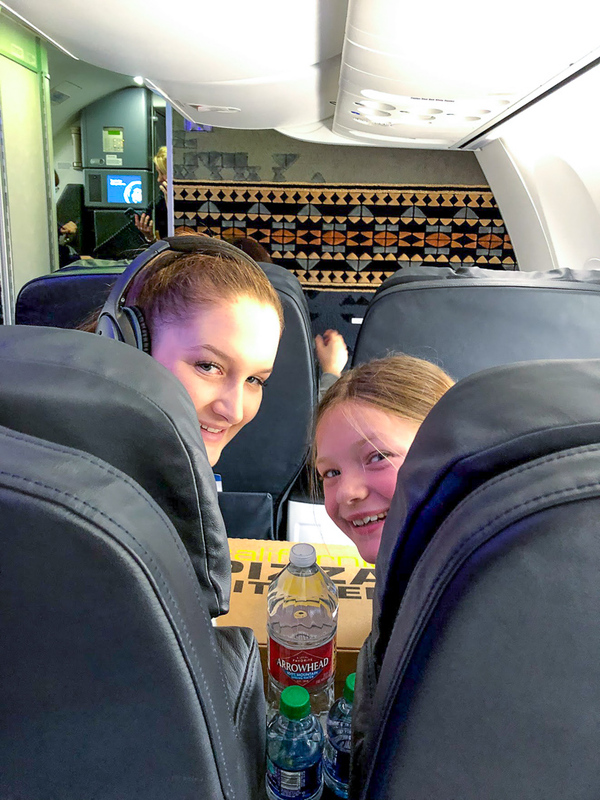 Our vacation experience always starts with our flight decisions. 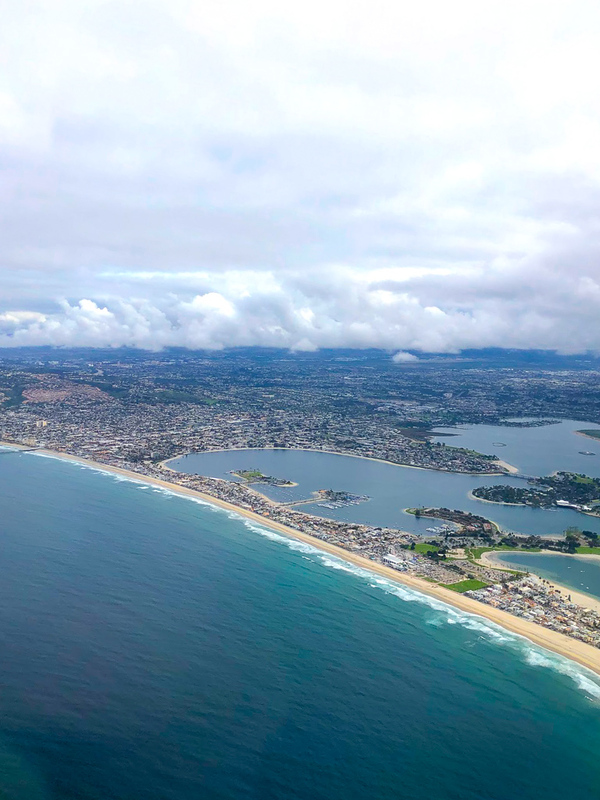 We are really lucky that the closest airport to us in San Diego has multiple non-stop flights to Orlando so we can choose the best times for us. 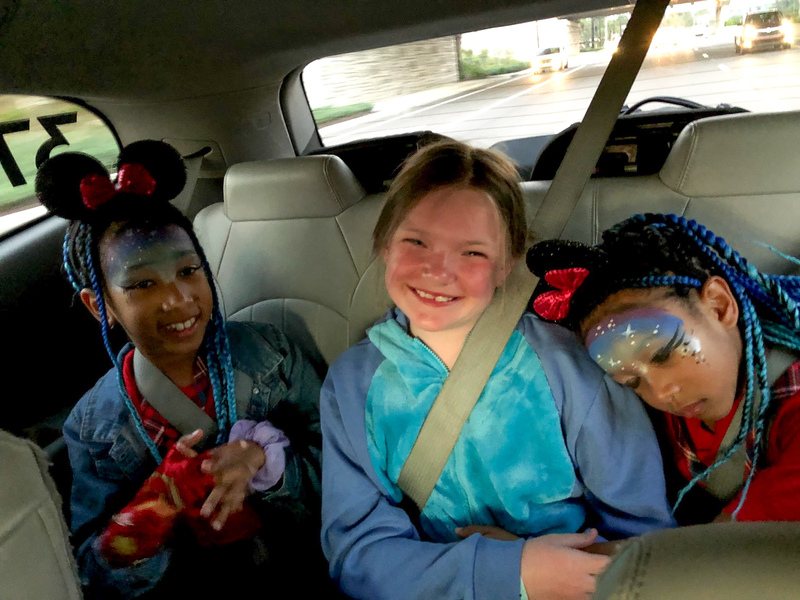 We have found that we prefer a midday flight so that we are in Orlando and to the hotel in time to have dinner and then to get a good nights sleep before jumping all into the Disney fun. We also have some favorite Disney World Resorts and resort areas. Our usual go-to resort area to stay in is the Epcot area. 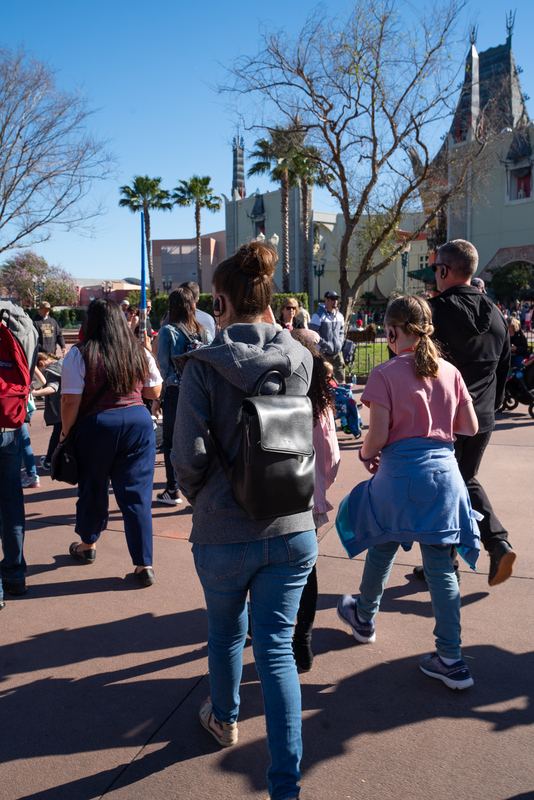 We love that both Epcot and Disney's Hollywood Studios are easily accessible by walking or boat. We've stayed at the Yacht Club, the Beach Club, and the Boardwalk Inn. I don't think you can go wrong with any hotels and resorts in this area. They are all great. We've also stayed at the Polynesian and it was the closest feel to the tropics we have felt outside a tropical island. We totally loved it too. 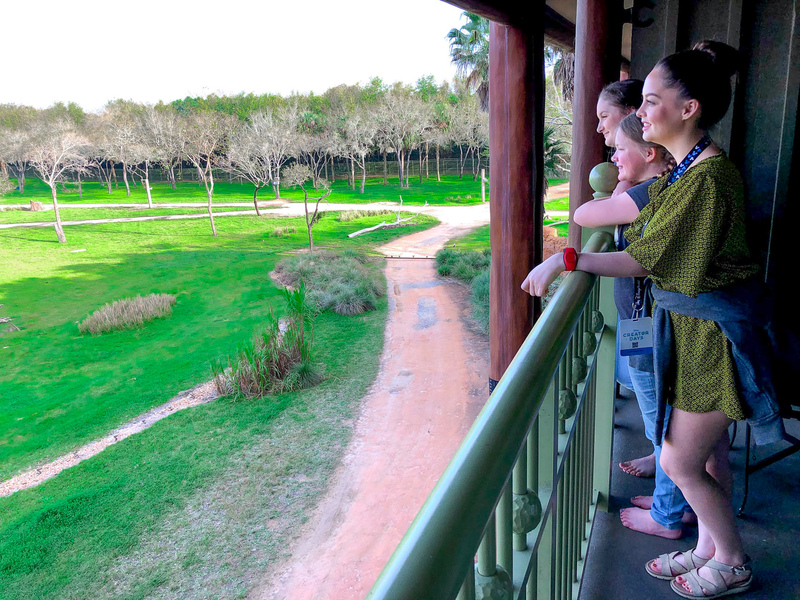 On this trip, we stayed at Disney's Animal Kingdom Lodge. I was so EXCITED to stay here. The kids and Pete were too… but I think Emmy and I were over the top excited, because- animals! We are both huge animal lovers so this was a bucket list hotel to stay at and it didn't disappoint! One quick tip- always make a reservation for dinner on your first night at your resort hotel. 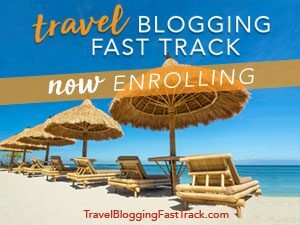 Realistically you should make as many restaurant reservations as possible before you arrive, but for sure the first night because everyone will be hungry and it is so much fun to kick off your vacation the easy way at the hotel you will be staying at. I'm so glad we did this one this vacation! 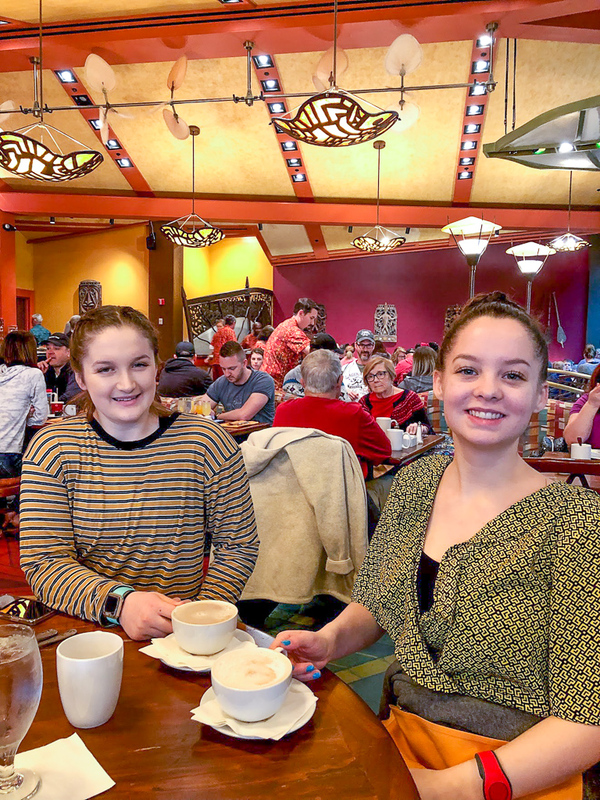 This was our second (or third time) eating at Boma – Flavors of Africa and it was simply perfect. 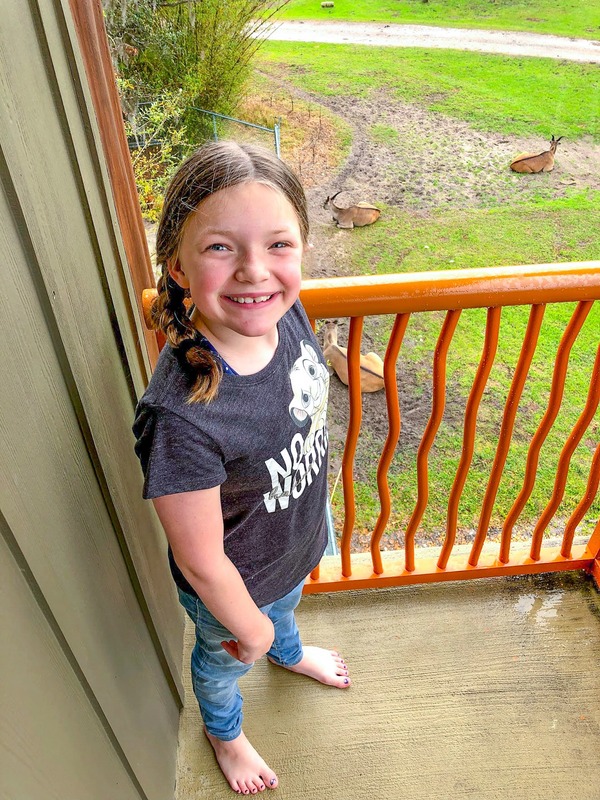 Dinner filled us up and we headed to bed relatively early so that we could wake up equally early to see the animals right off our balconies! 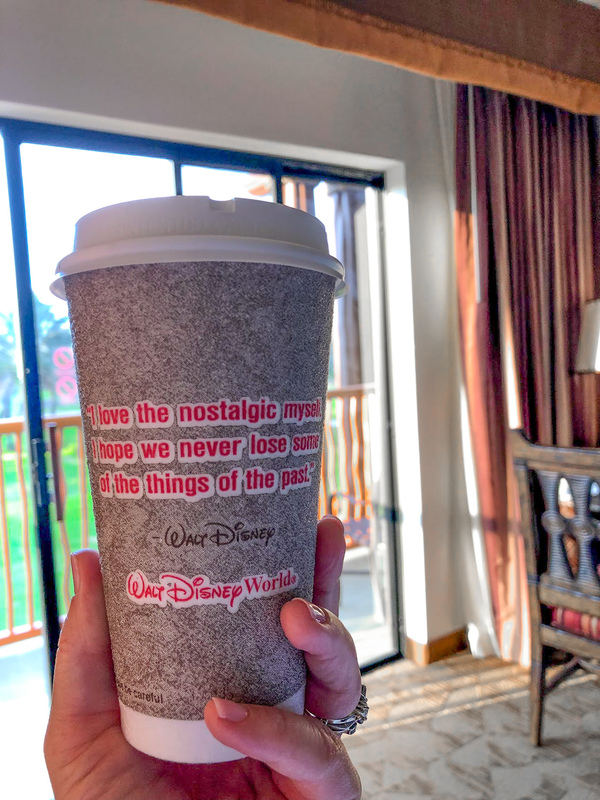 You can probably tell that we are big believers in staying at Disney Resorts when going to Disney World. I'm sure you've heard this before, but it really does make a huge difference. There are many reasons why, and you can see them here, but the reason that we love staying on site is for all the magic. Yep, there is magic in staying on property. The feel of Disney is everywhere. 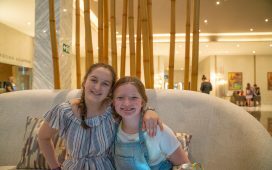 The customer service is top-notch and the resorts are all super special and so is the food. Each resort has a unique atmosphere and some people go to the same one each time they visit, and others hop around. 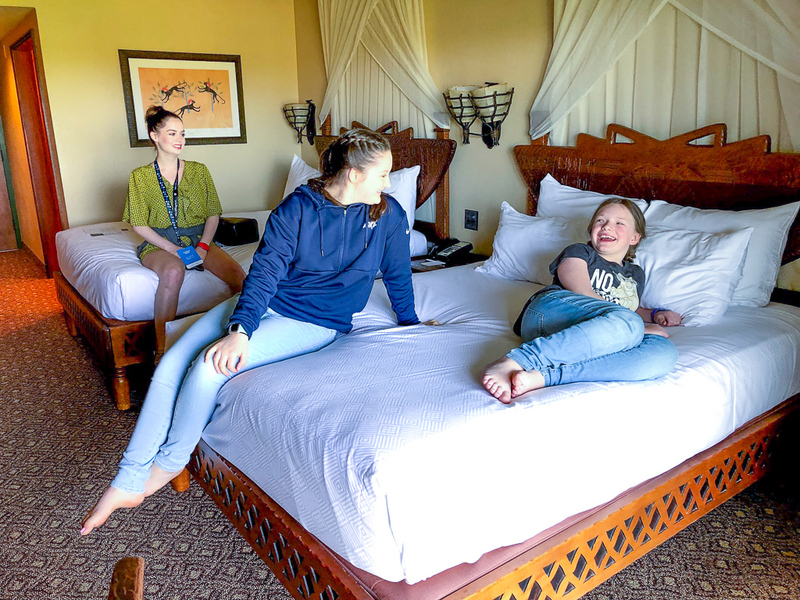 Our absolute favorite resorts are ones that have club level accommodations, like when we stayed at the Boardwalk Inn in the Sonora Suite. If it is in your budget, a club level room is well worth it. Another thing we always do is to book two rooms. 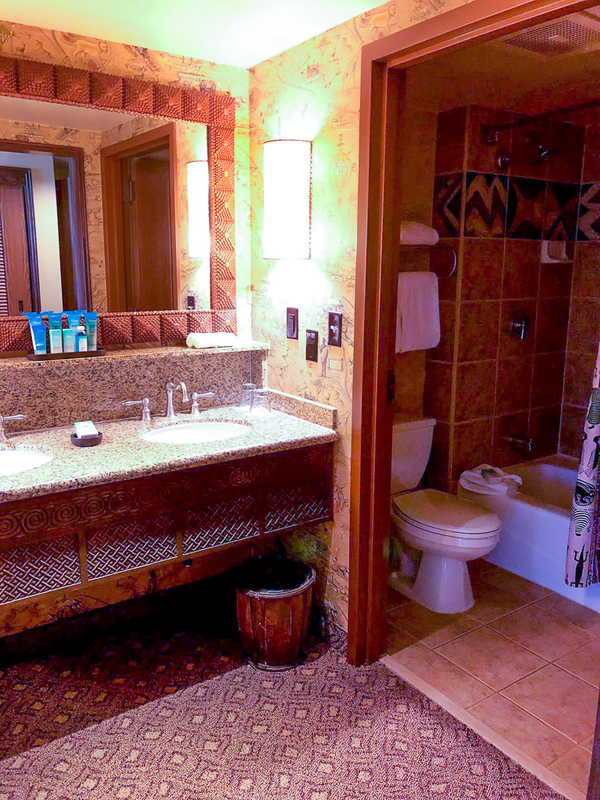 With 5 of us, that extra bathroom is like gold as far as being able to get up, ready and out the door quickly in the morning. 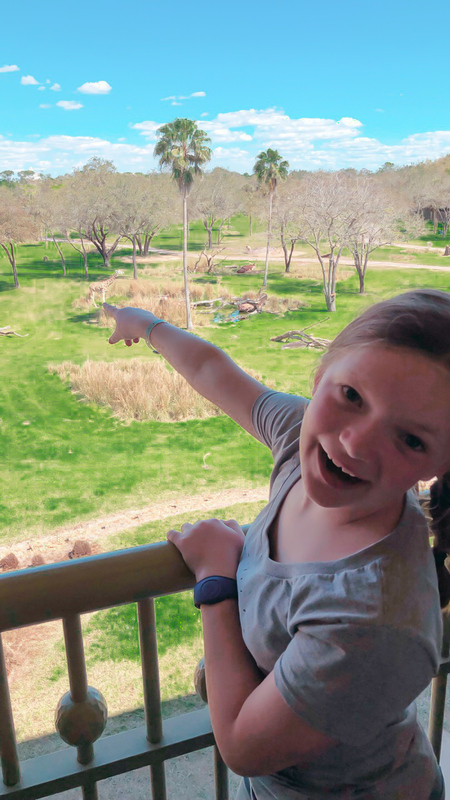 Our four nights at Disney's Animal Kingdom Lodge went by so quickly. Whenever we were not having fun during the Creator Day's activities, we were on the balcony watching the animals. We never even made it to the pool or really anything else at the resort. Normally I'd be pretty bummed about that, but really, this was all the entertainment we needed. It was also the best thing ever to have this view to sip coffee with in the morning. 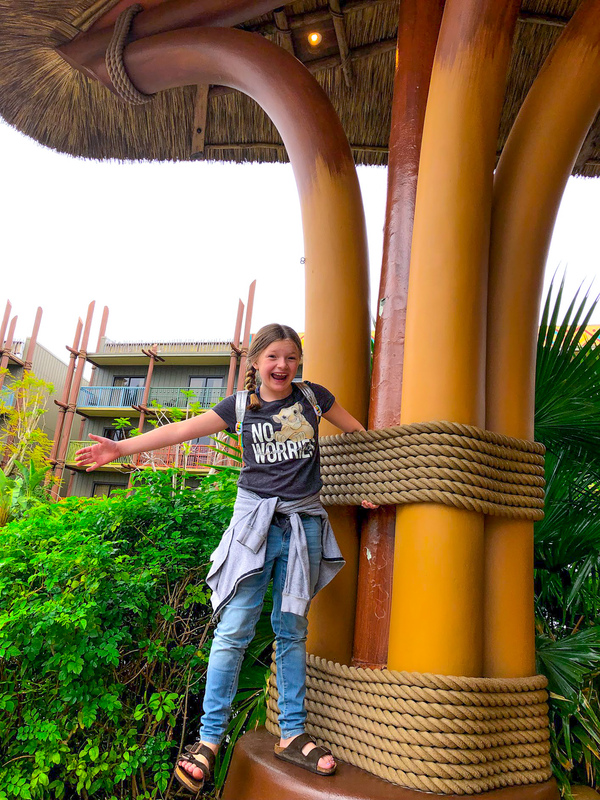 Having stayed at multiple Disney Resorts, I can totally say that if you are an animal lover like me, you will love the Animal Kingdom Lodge. For sure get a Savana balcony room. 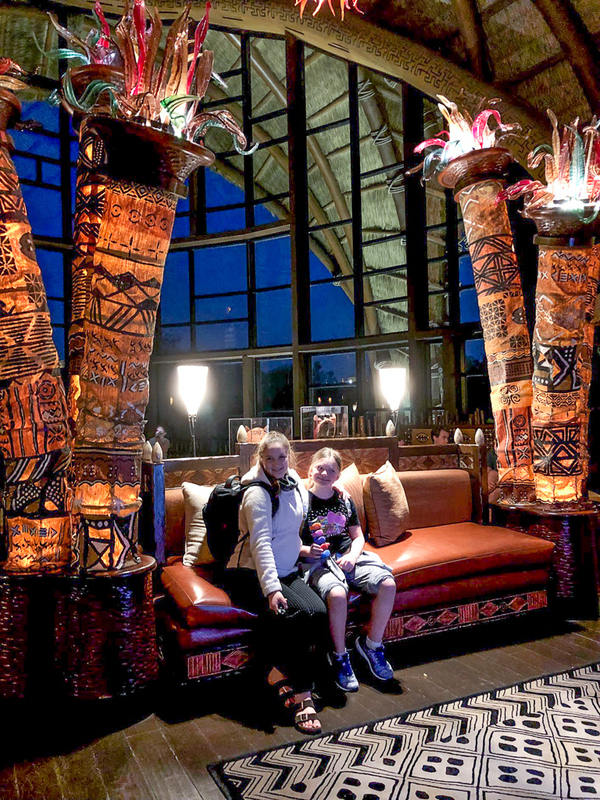 When we stay at the Epcot area resorts we normally take a boat or walk to Epcot and Hollywood Studios so staying at the Animal Kingdom Lodge was a totally different experience. The main mode of transportation was via bus to the parks. 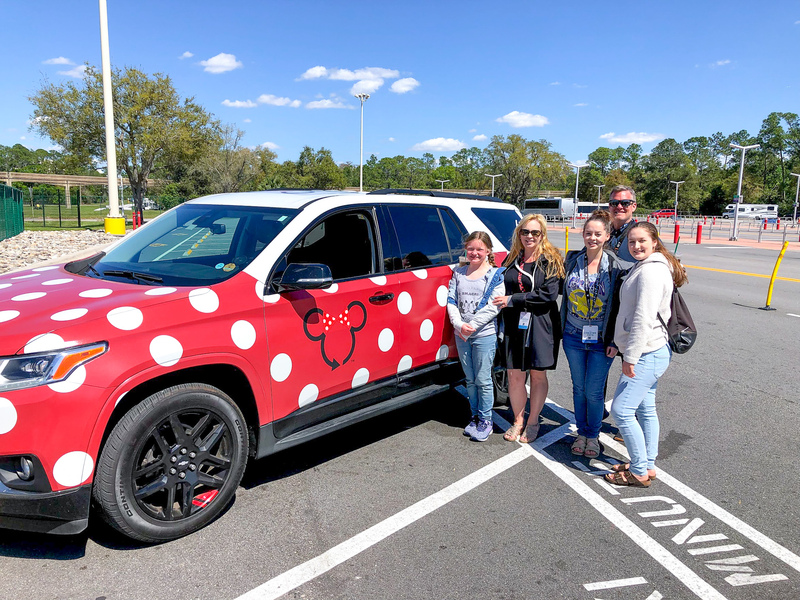 Disney keeps the transportation running very smoothly, and this is a great free option, but we fell in love with another way to get around… the Minnie Vans! The Minnie Vans use the Lyft app that most of us are very familiar with. The big difference is that these are way more adorable and that the drivers are all Disney Cast Members. This is a big deal because you have a Disney Employee behind the wheel. They are also able to drive routes and into other Disney areas that other Lyft drivers can't. This means you get there quicker if there is traffic and can have access to closer drop off areas. A couple of tips: there aren't as many Minnie Vans as other Lyfts on the road so don't worry when it takes a bit longer to get one. Ours all came within 5 minutes, so not that long at all. Each park has a pickup location that might be near the buses or not, so do follow the prompts to know where to go. We always splurge on private drivers when we are traveling instead of taking the mass transportation option and this is simply the best. We didn't have to wait in any lines and we were dropped off right at our resort. When the girls were all little and fell asleep as soon as we left a park, this would have been a total lifesaver! We even took a ride with our friends from Top Flight Family. Emmy loves Sean and Ella! 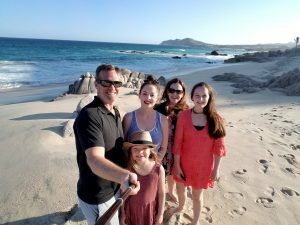 Here is how we had even more magic added to our vacation and you can too! 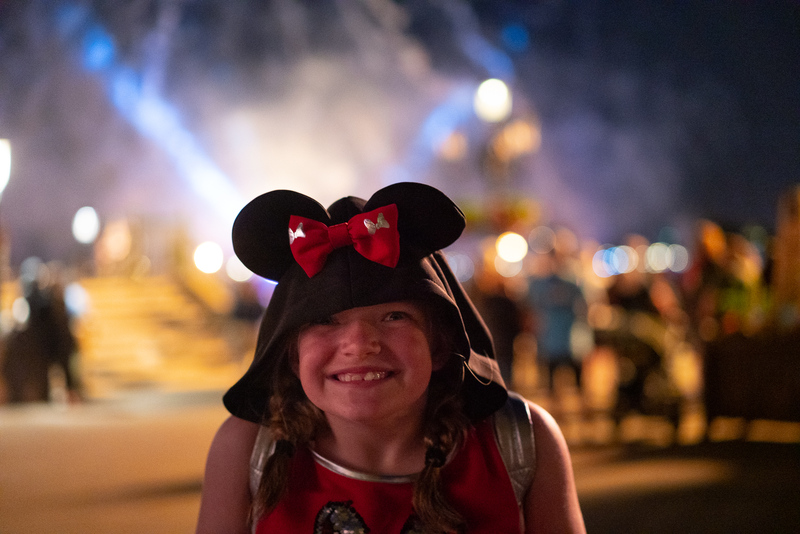 Aside from the traditional park tickets, you can book extra tickets for more exceptional experiences, like Mickey's Not-So-Scary Halloween Party. 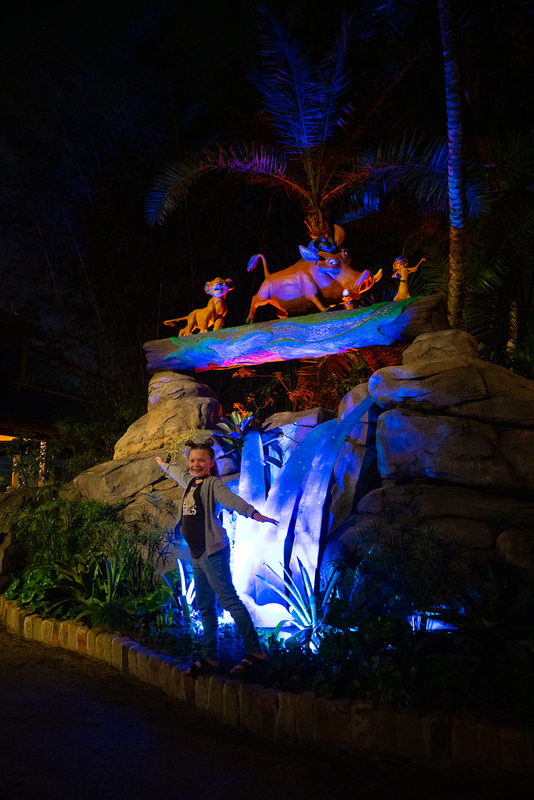 This time we were really excited to experience Disney After Hours at Disney's Animal Kingdom. This is an additional cost but it includes a lot! In addition to three hours of more fun, there are not a lot of tickets sold so there are very little lines for some of our favorite rides. 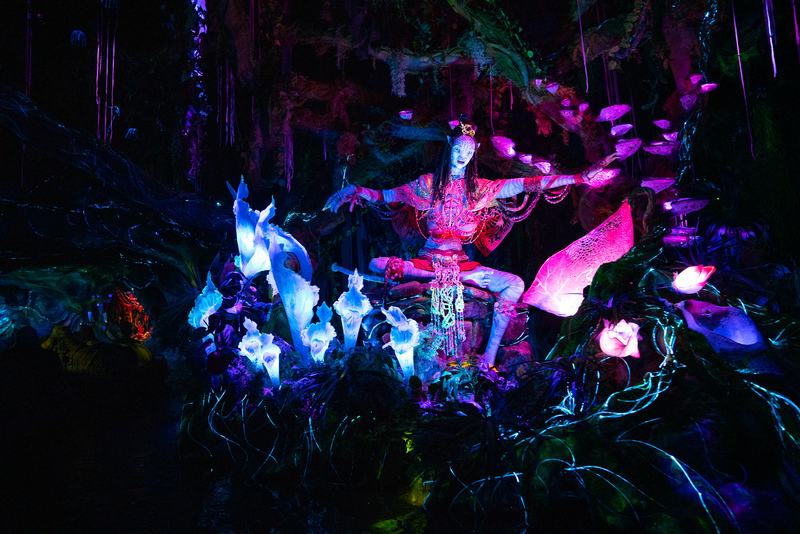 These include Avatar Flight of Passage, Na’vi River Journey, Expedition Everest – Legend of the Forbidden Mountain, and more! We were also treated to ice cream, popcorn and select beverages that were all included with our ticket. This was one of the best ways to be able to ride the attractions that often have a long wait and few fast passes available. We will totally be doing this again! 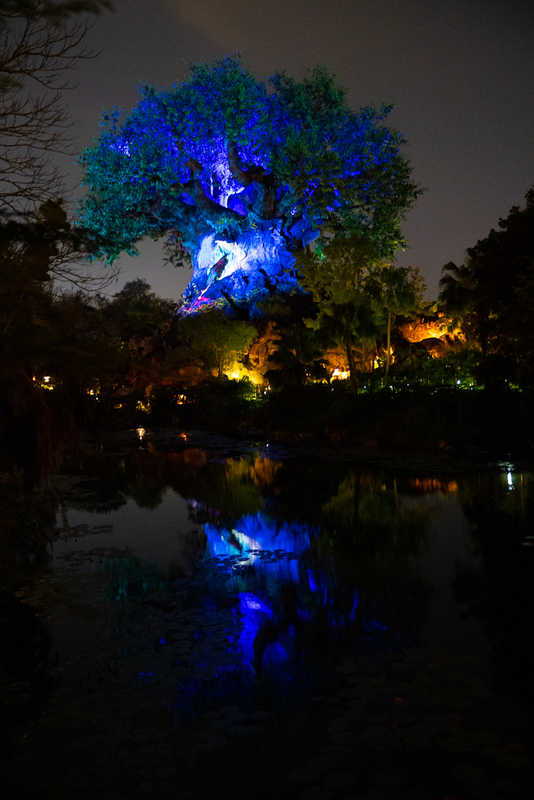 Plus, Animal Kingdom is absolutely gorgeous at night. It really feels like you are in a totally different world! Talking about exceptional experiences, we also went on the famous Star Wars Guided Tour! We have wanted to go on this tour for quite a while now after I found it on Disney's site. Knowing that I have 4 Star Wars fans in the family, I knew they would love it, and they did. 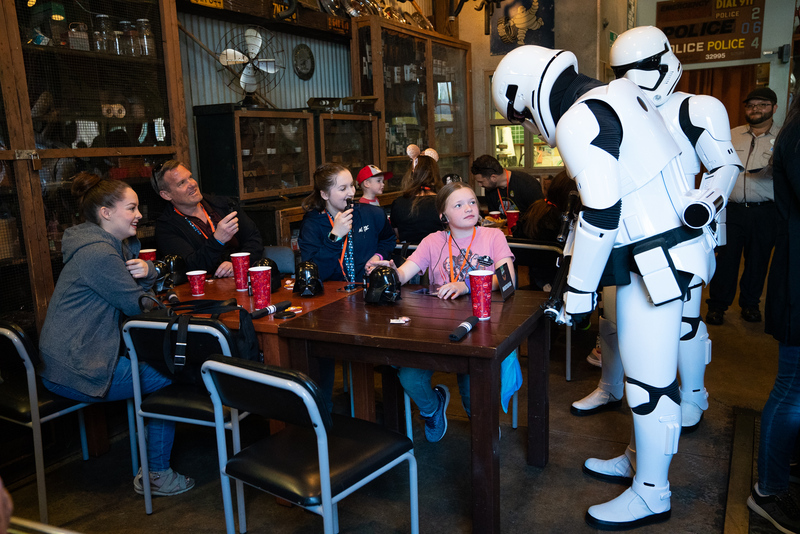 This is a semi-private tour, where a cast member (who speaks fluent Star Wars) takes you on a very out of this world adventure! Our tour was a little different than the normal one, because of our schedule at the event so our tour was midday when it is normally done in the morning before the park opens. Both ways are great and total memory makers! 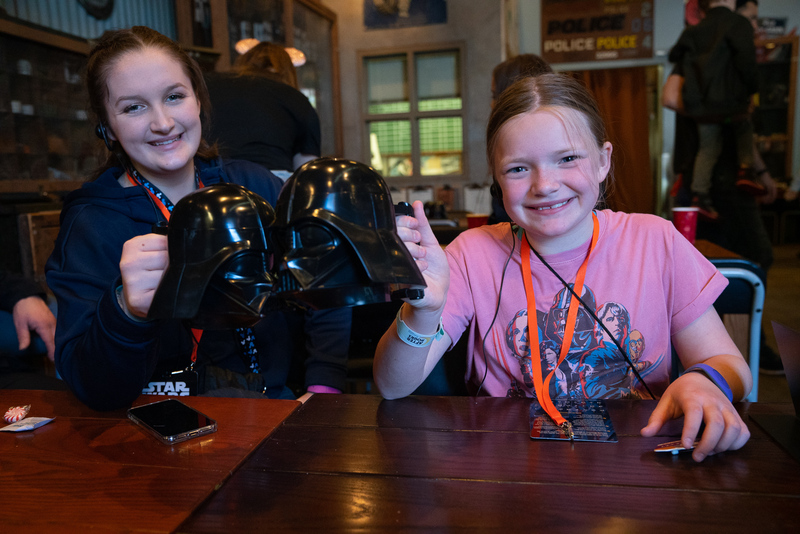 We had VIP access to Star Wars attractions and meet and greets, a private screening of Star Wars: Path of the Jedi, reserved viewing of 2 live stage shows—Star Wars: A Galaxy Far, Far Away and March of the First Order and the kids in our group aged 4 through 12 could be enrolled in Jedi Training: Trials of the Temple. 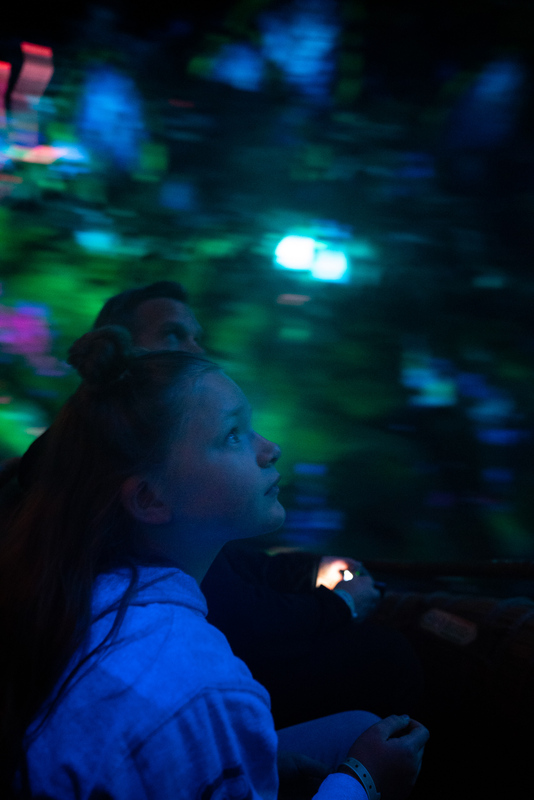 We also enjoyed being launched into hyperspace aboard a Starspeeder 1000 on Star Tours – The Adventures Continue. 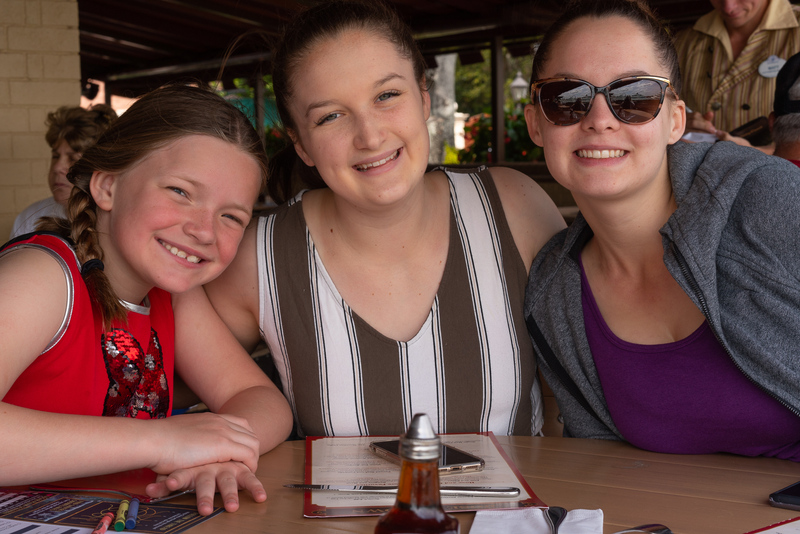 As if that wasn't enough, we had a special meal at Backlot Express where we were gifted a special souvenir to take home and a whole lot more! 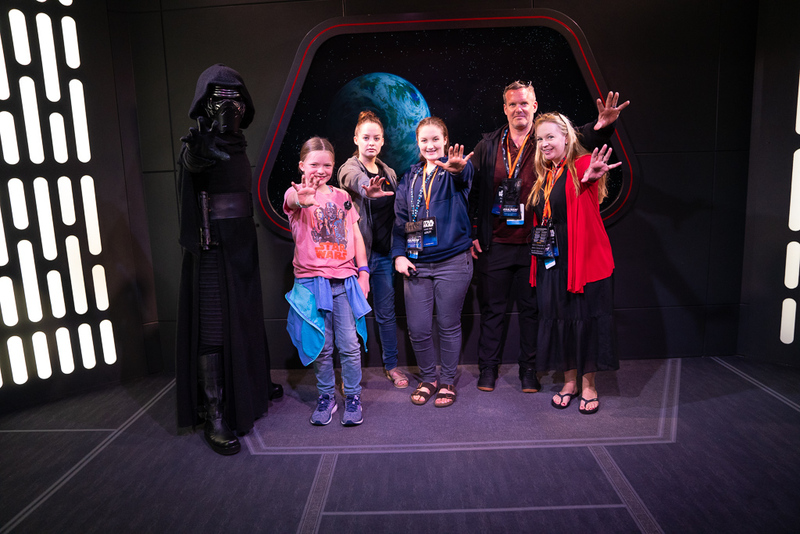 I almost forgot that we also had a meet and greet with Chewbacca and Kylo Ren where we took pictures with them and some other surprise characters. 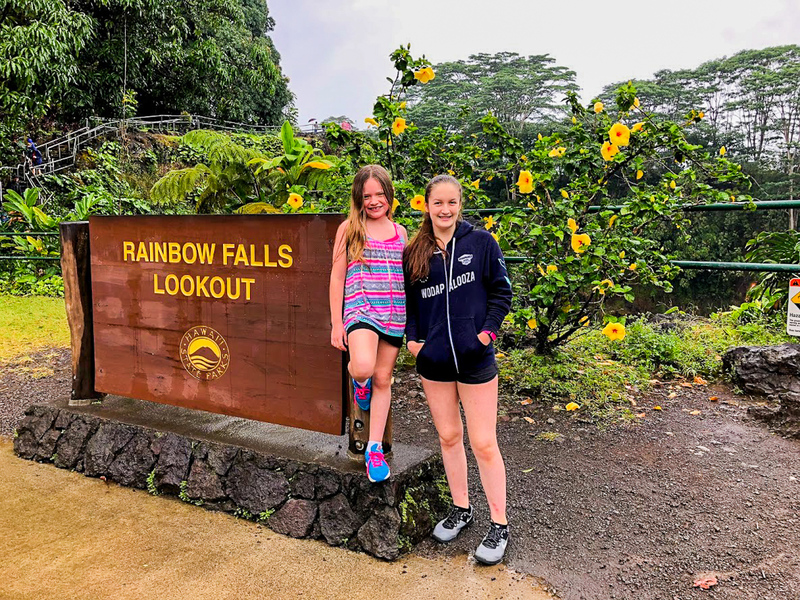 We really enjoyed this tour and have another one on our list that we plan to take next time. 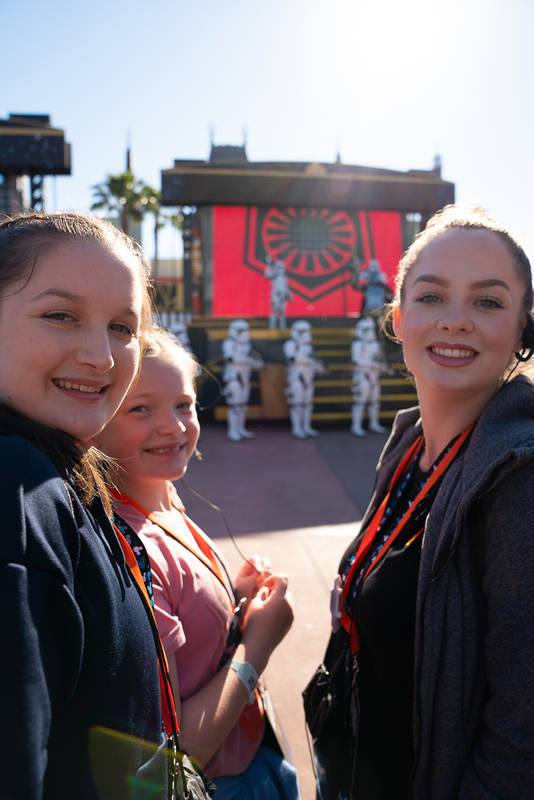 Disney World offers a lot of VIP experiences and the one we are planning to take is The Ultimate Day of Thrills VIP Tour. 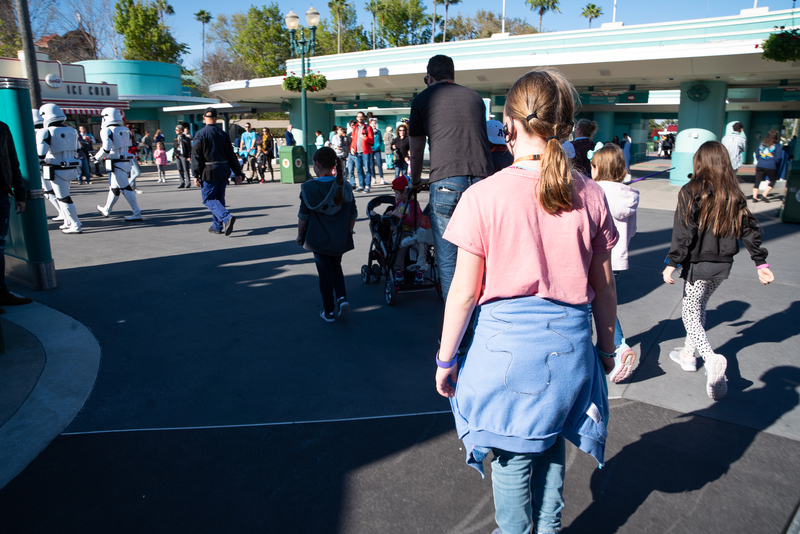 The VIP tour options are great if you are short on time and want to really maximize your time in the park or if you love having an insider with you throughout your time. They are some of my favorite people- or Magic Makers as I call them. 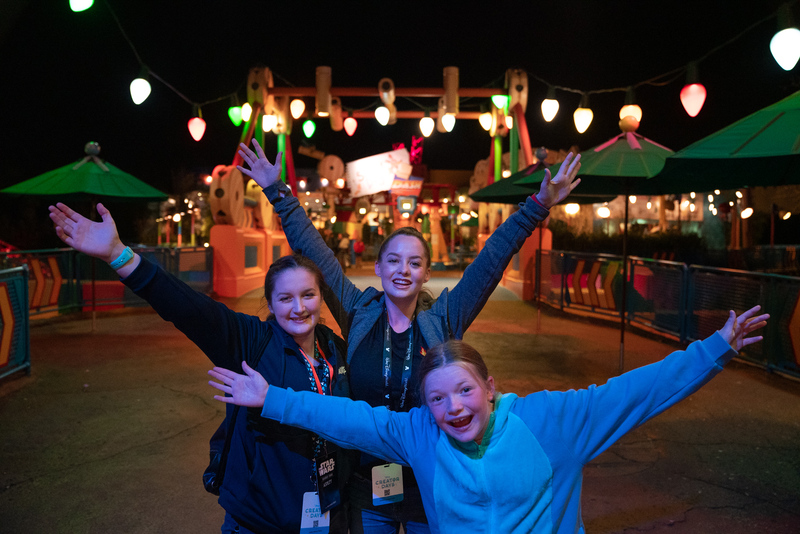 They know just how to add even more fun to your day and have tons of insider tips and trivia… plus the whole no wait access to attractions doesn't hurt! Ha! This is a total splurge. 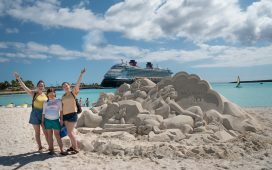 If it is in your budget, I would totally look into the tour and VIP experiences to elevate your Disney Vacation. This coupled with staying in a club level room is the guaranteed way to have a Disney vacation above what you can even dream! 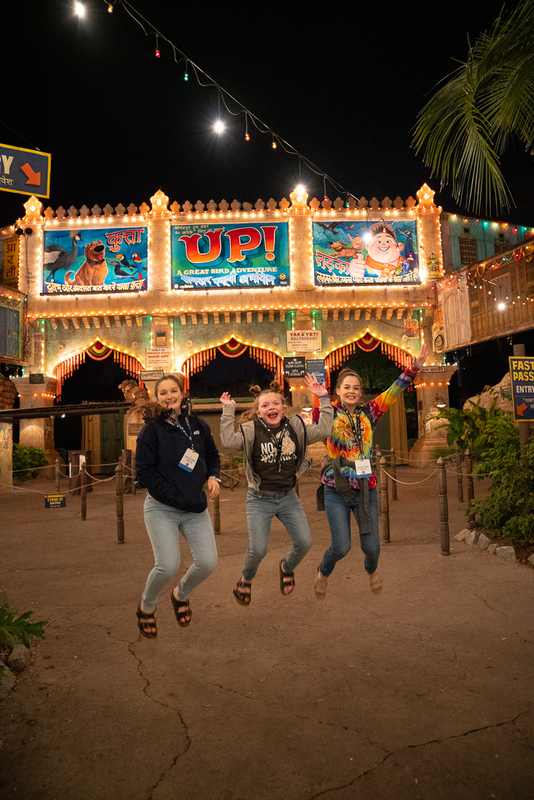 And then we did something we have never done before… can you believe that this was our first time at Toy Story Land at Walt Disney World? It hasn't been open that long, and it is really fantastic. 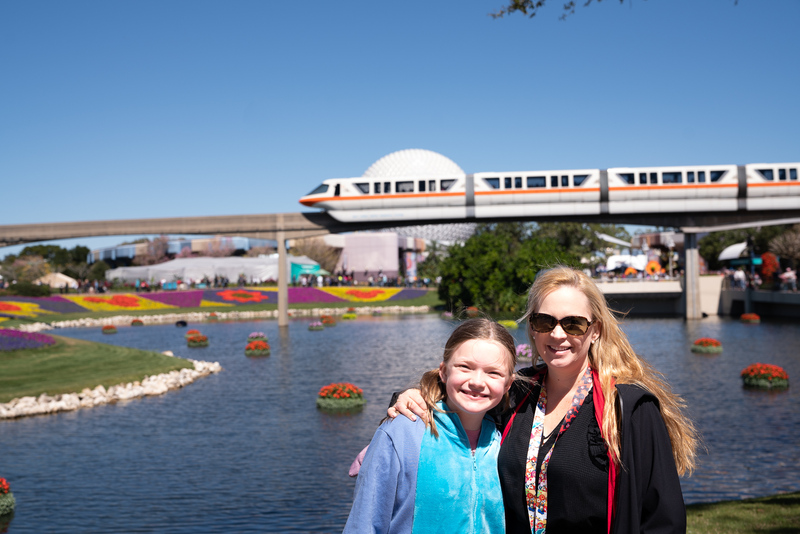 We had the pleasure of spending a few hours in it after the park closed as part of Disney Creator Days, and boy did we use every single minute. First, I want to mention something. Twice now we have randomly been at Disney World when there were freezing temperatures. The first time was in January of last year and that was understandable. The nights were cool but the days warmed up. This time it was cold the entire day and night. 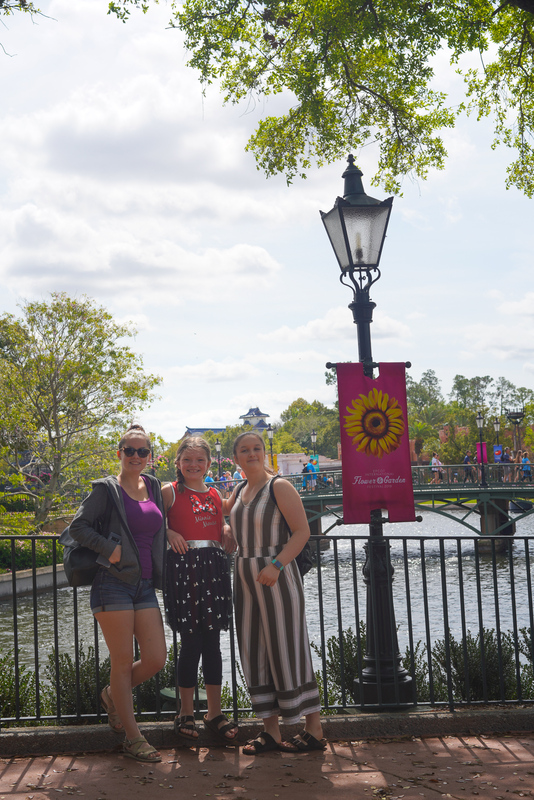 So although it looks like we are at Disneyland with our winter clothes on, I promise you this was sunny Florida! 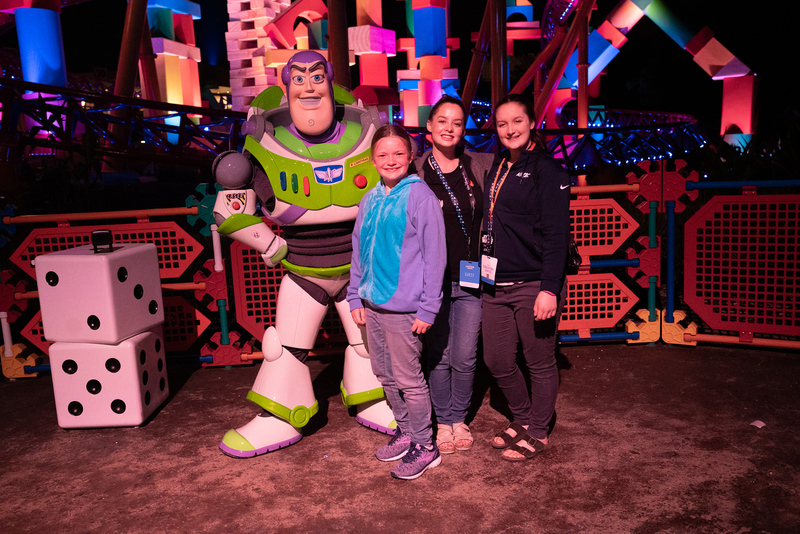 We took pictures galore with some of our favorite Toy Story friends and went on attraction after attraction. Over and over and over again. I lost count how many times we went on all the rides! The Green Army even marched by a couple of times! 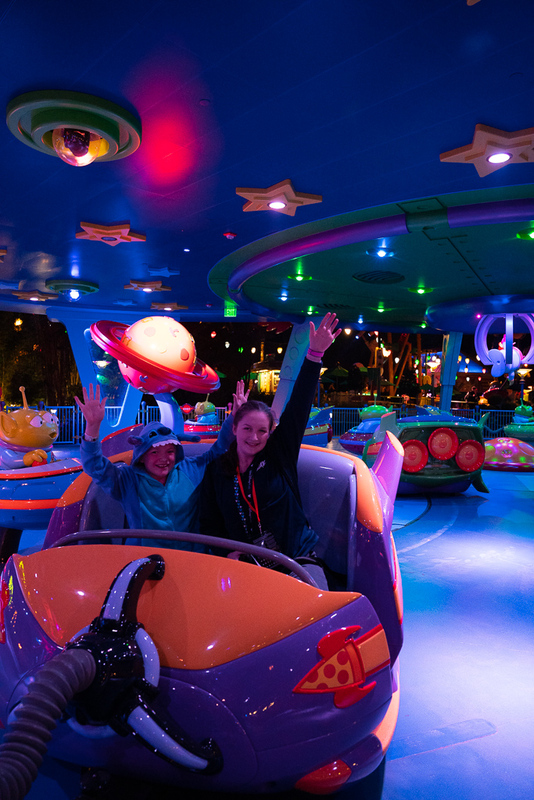 Alien Swirling Saucers (say that 10 times fast!) was so much fun. Think teacups with bright lights and even more exciting! I can't wait to go on this one 50 more times! 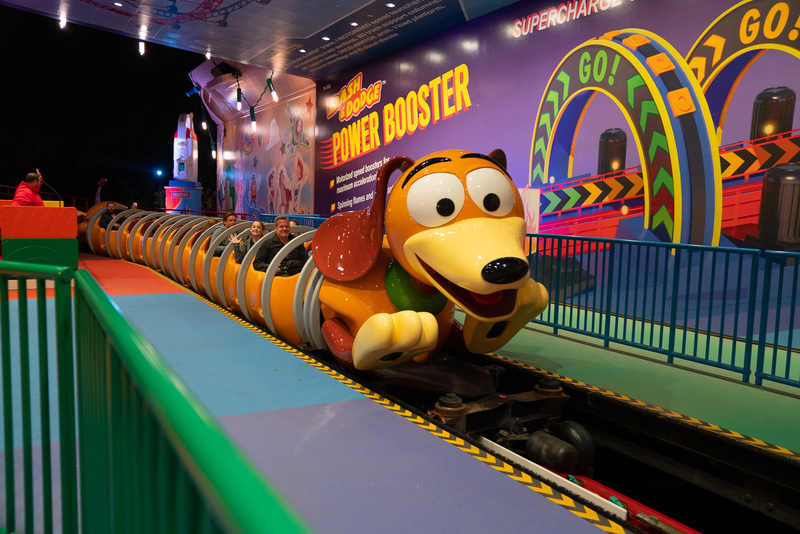 I think Pete and the girls loved Slinky Dog Dash the most. They just kept going over and over again. This roller coaster is pretty mild so it is good for the littlest ones too! 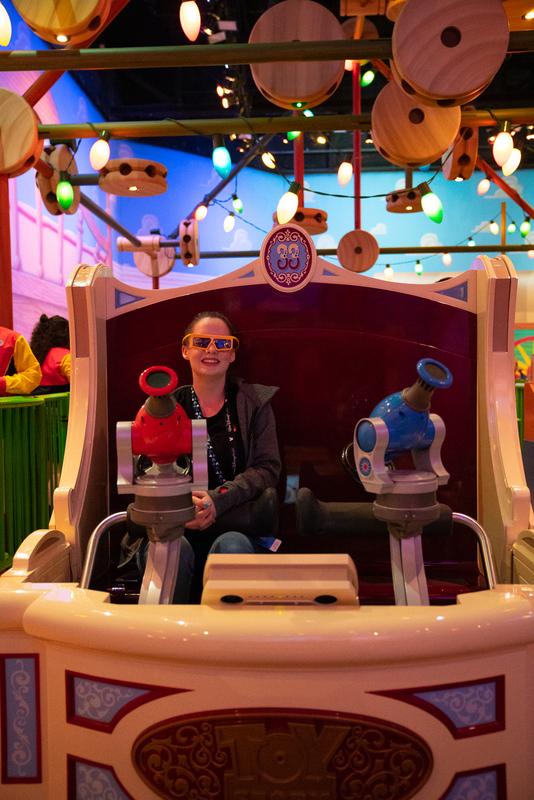 Of course, no time in Toy Story Land is complete without going on Toy Story Mania 50 times! We didn't quite make it that many times, but we did keep going over and over until the park closed, so that counts for something, right? I have always loved fair games and this is those nostalgic games on steroids. It is like being a little kid again! Sadly I never got the high score of our family, but I'm not giving up. It will happen. In case you were wondering, Pete is the reigning winner! Quick Tip: Hollywood Studios has Disney After Dark nights and that would be a great way to enjoy all the fun with fewer crowds. 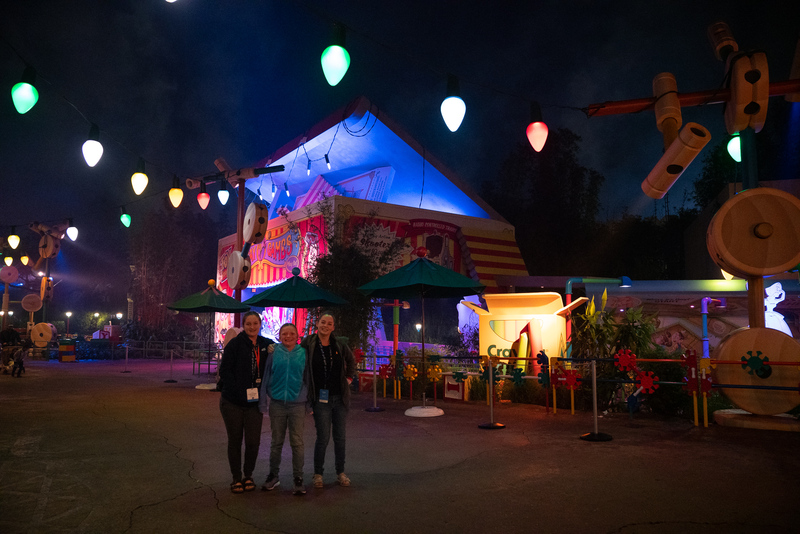 Plus Toy Story Land looks so magical all lit up at night! 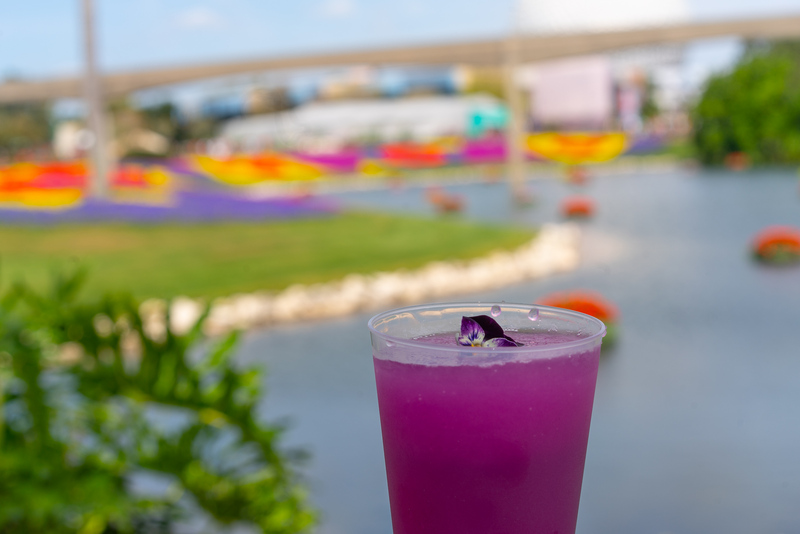 We were also so lucky to be there when the Flower and Garden Festival started at Epcot. 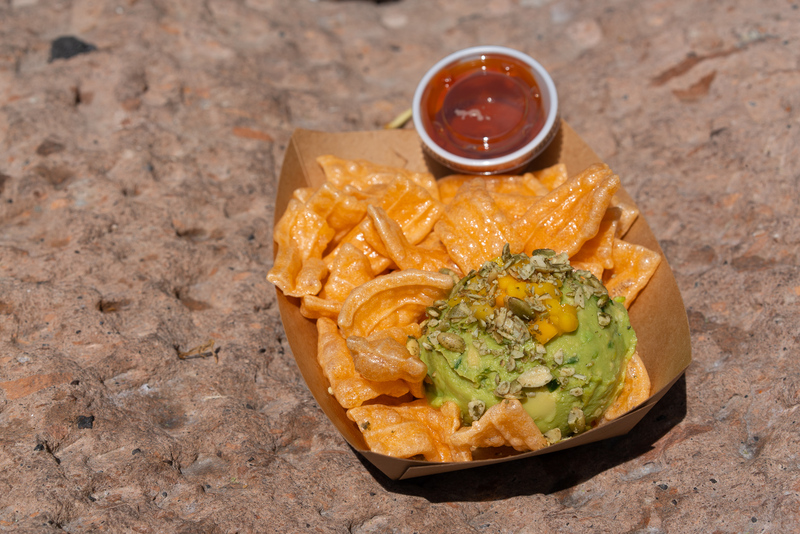 From the beautiful flowers to the special food items, this is one of my favorite times to visit Epcot. The good news is that there are multiple festivals throughout the year in Epcot so you have multiple dates to choose from to visit. 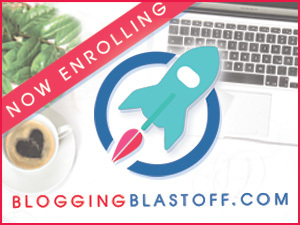 I would totally arrange your vacation to overlap with one if you have some flexibility. 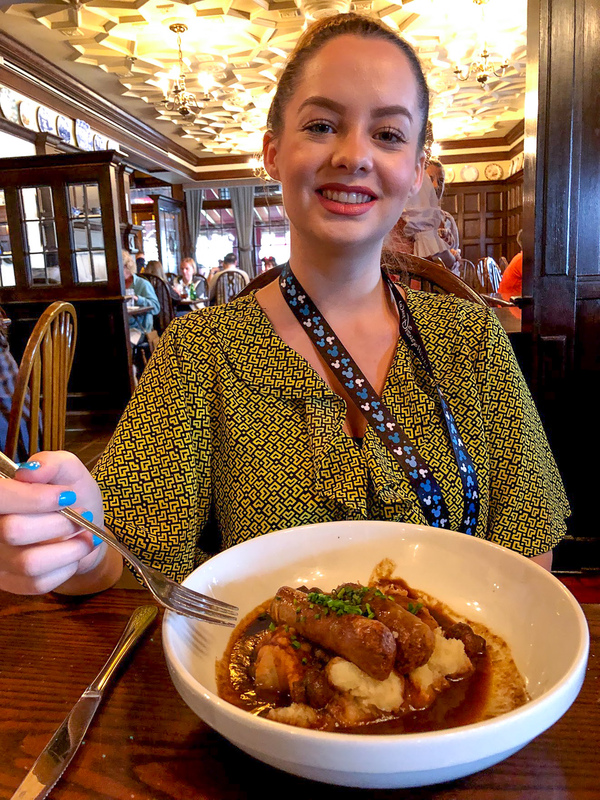 Even more good news is that Disney World has introduced new dining options for vegans and vegetarians. When we were there, they were just starting to roll them all out. The one we went back to twice was in the United Kindom at Rose and Crown. This is why… for the bangers and mash. It was so good! Emmy had the fish and chips (also vegan) and then declared it was exploring time to see as many of the flower creations as possible. 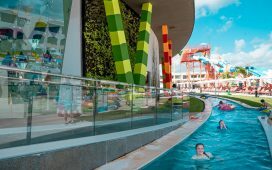 The cool thing about staying at a Disney World property is how easy it is to take a break midday to go swimming, get some work done or just relax and then jump back into the park fun later in the day. That is what we always do. After a little break, we were back in Epcot in time to watch the IllumiNations: Reflections of Earth. 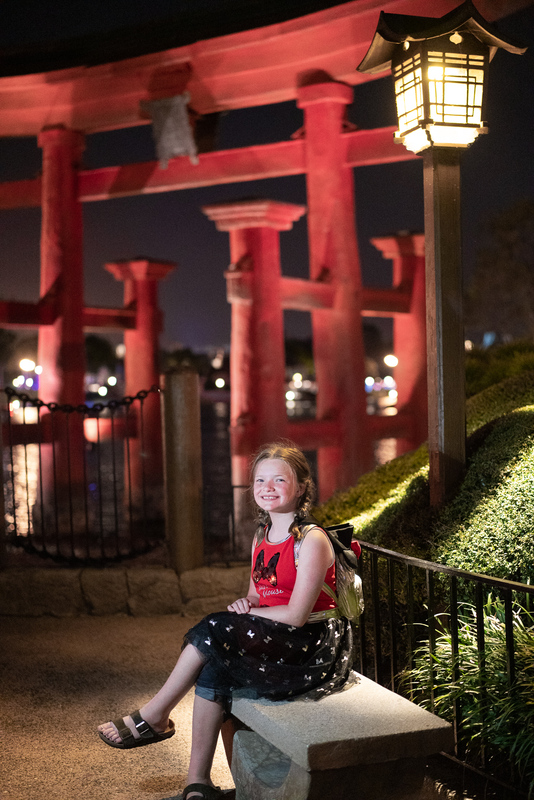 We love this for how bright it is and the music, but we are also really excited to see the new firework spectacular that should be debuting soon! This vacation really was one of our favorites. 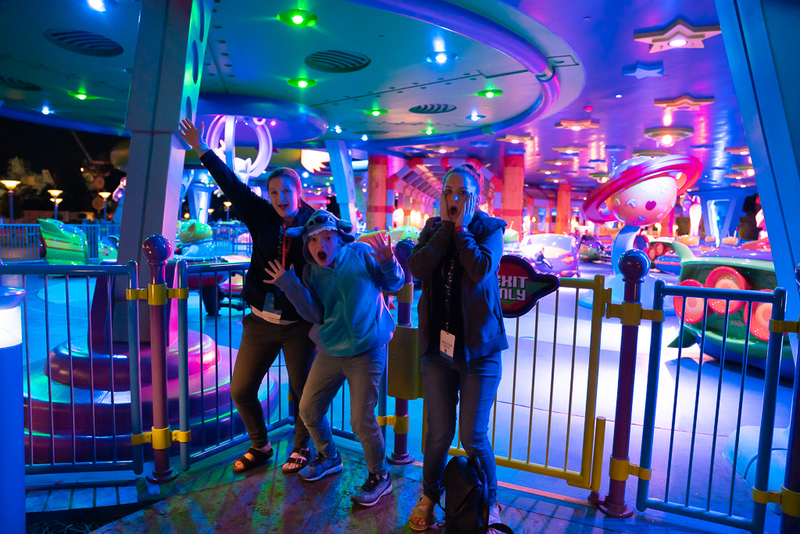 We made so many memories and experienced so many extras that took our Disney World Trip to all new levels of fun! We can't wait to go back.